Denver, CO, June 19, 2017 – Since 2016, ODILO, a global and innovative leader in the eBook industry, has experienced tremendous growth with their North American expansion. With 140% increase in new customers and close to a 500% increase in new publishing partners, ODILO continues to be a popular new eResource for libraries of all sizes. 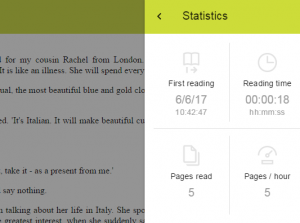 New advanced search capabilities and end-user reading statistics in ODILO’s eBook platform and mobile apps that quickly show reading history details, time read, pages read, etc. 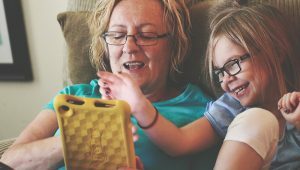 ODILO’s eBookClub now offers new enhancements for educators, including the ability to add quizzes, notes, videos, and other supplemental educational materials within the reading experience. eBookClubmembers already enjoy direct access to featured titles, online discussions, live chat sessions, note-taking, highlighting, sharing, and commenting on select passages from the book, available anytime, anywhere, and on any device. eBookClubs are simple for library staff to create and facilitate, or provide limited administrative rights to a volunteer, patron, student, or educator. 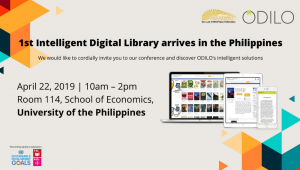 Conference participants can get a sneak peak of ODILO’s new cloud-based digital preservation platform, OdiloPreserver, which is an intuitive, user-friendly platform based on the OAIS model and is ISO 14721 compliant. Vancouver Public Library uses the ODILO BYOC platform to house their Indie author collection. 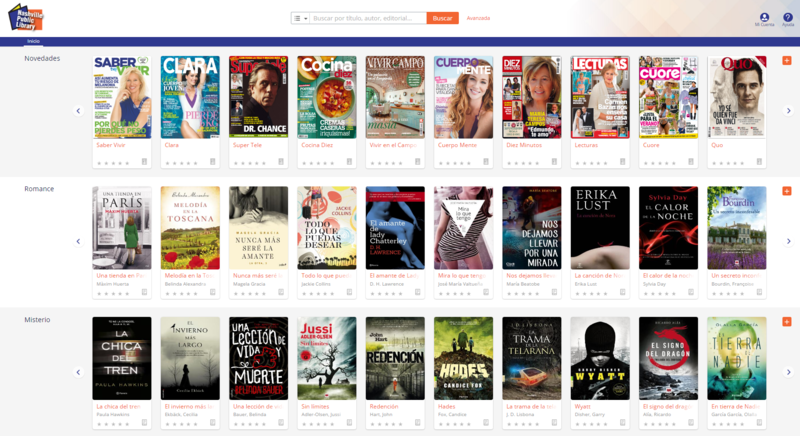 Nashville Public Library provides popular Spanish magazines, eBooks, and eAudiobooks using the ODILO platform. OdiloPlace (ODILO’s marketplace) now offers essential and popular titles from over 3,500 publishers, including new partners such as Dundurn Press, Workman Publishing, Lerner Books, Perseus Books Group, Houghton Mifflin Harcourt, Gale/Cengage Learning, Sportsman’s Connection, Twin Sisters, Classroom Complete Press, North Star Editions, O’Reilly, Barefoot Books, and Tradewind Books. Some content availability may vary by language, platform, region, and/or institution type. 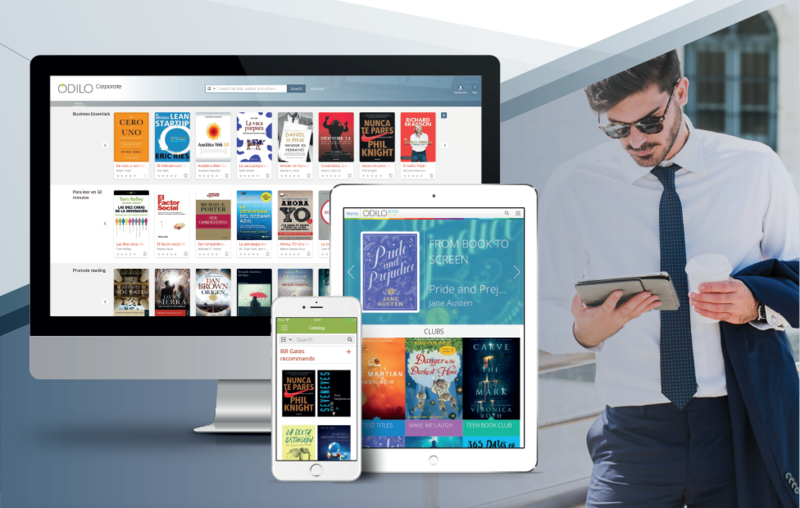 ODILO products and services allow libraries to better manage their digital content, integrate a mix of content sources (including local and self-published), and distribute titles to patrons in mere seconds; three clicks and they are enjoying a book. With ODILO’s strong international presence, especially in Spain and Latin America, high-quality English and Spanish titles are essential offerings in the ODILO lending catalog. For more information about ODILO in libraries, visit www.odilo.us/solutions/libraries/. 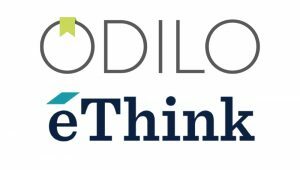 ODILO is a privately held Spanish and USA-based company dedicated to developing the most innovative and creative solutions for libraries. With millions of end-users worldwide, ODILO offers a comprehensive product suite for the discovery, management, and distribution of library print and digital materials. Currently used in 43 countries, ODILO defines and designs efficient, user-friendly solutions, serving the needs of public, private, university, school, and special interest libraries, along with travel and hospitality industries. ODILO is headquartered in Madrid, Spain, with offices in Cartagena (Spain), Denver (CO), Mexico City (Mexico), and New York City (NY). To learn more, visit www.odilo.us.